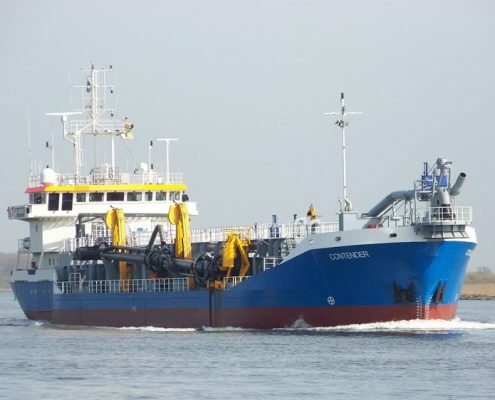 2670 m3 TSHD Contender - Conoship International B.V. 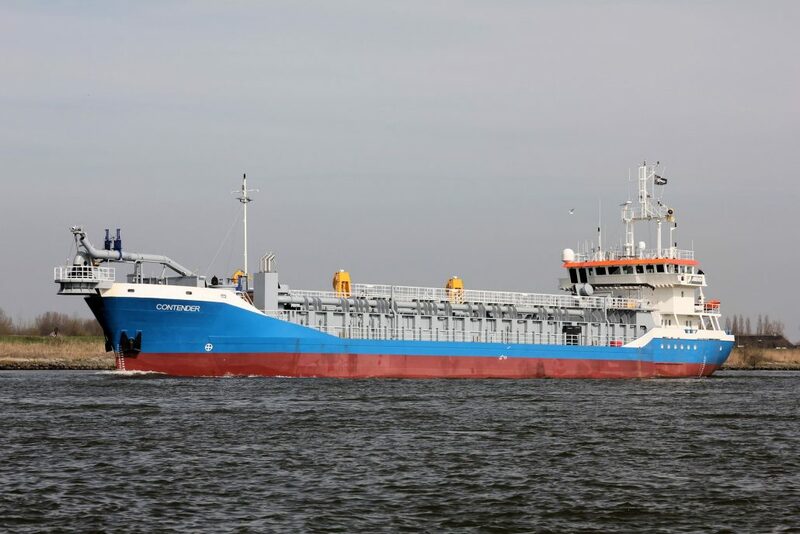 Conversion from 3,200 tdw general cargo vessel to 2,670 m3 TSHD. 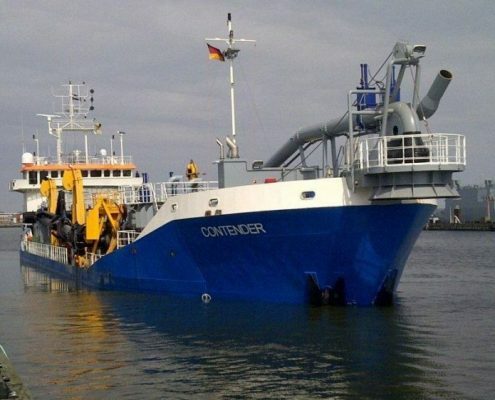 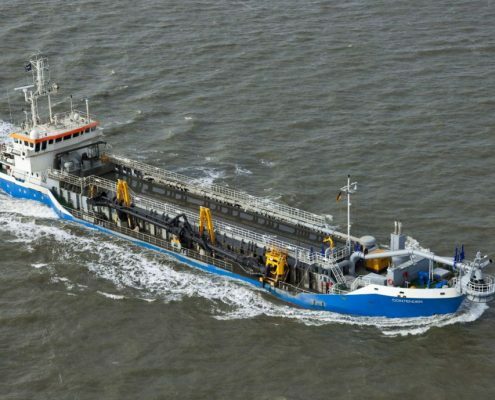 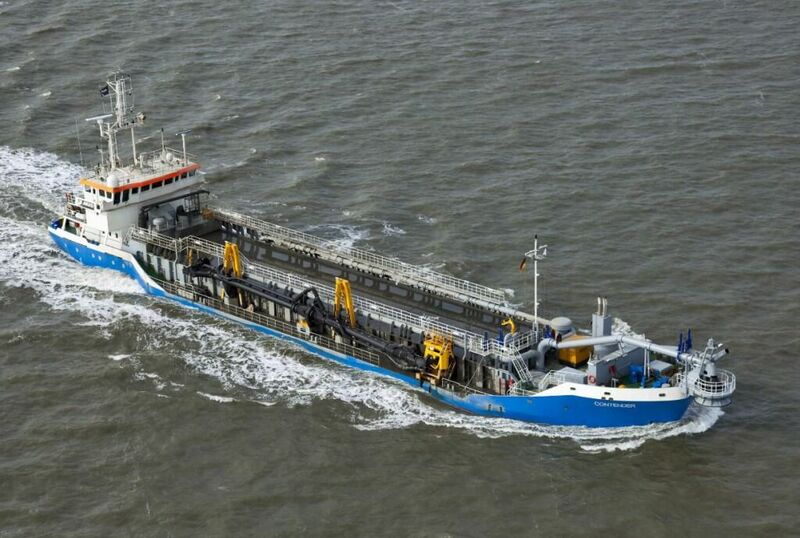 For the Dutch firm ABEKO Marine, Conoship International provides the conversion design and calculations of the former 3,200 tdw general cargo vessel into a state-of-the-art Trailing Hopper Suction Dredger. 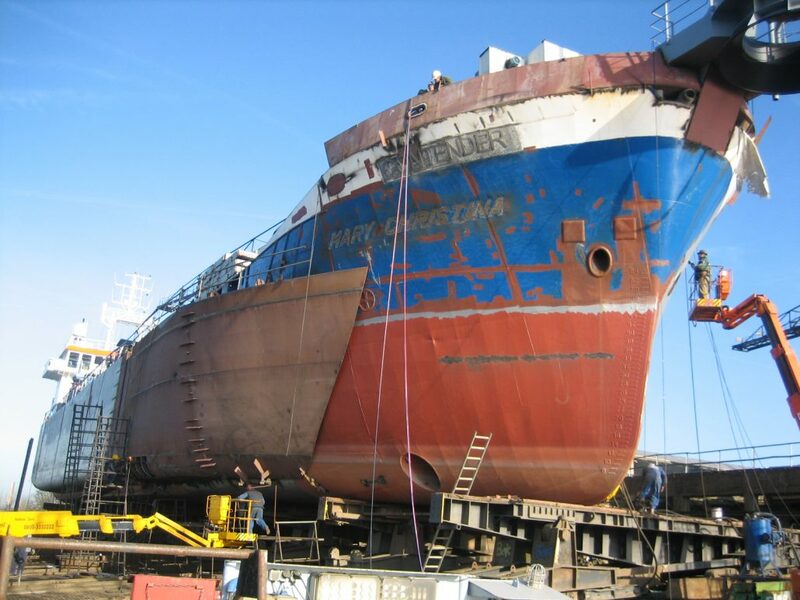 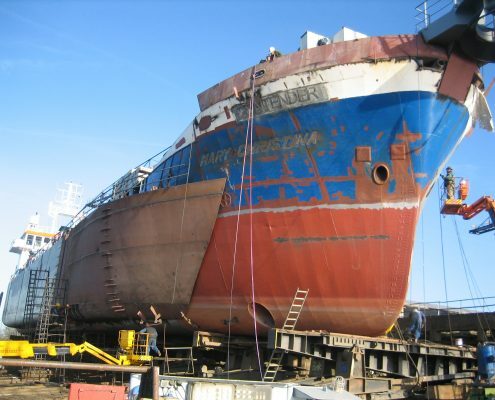 Our activities comprises the re-design of the general arrangement of the vessel to a dredger, hull form modifications, stability and watertight integrity. 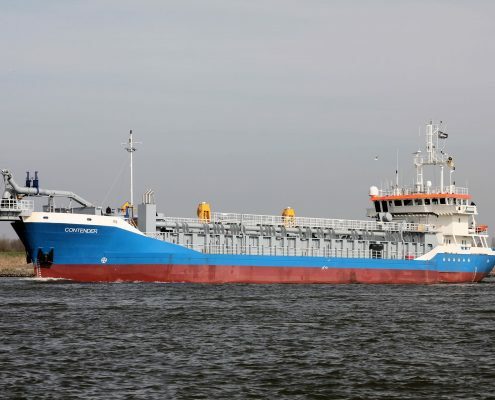 To obtain more deadweight and to improve the vessels stability, two sponsoons were fitted to the full midship length of the hull, enlarging the bread from 12.50 to 16.00 m. The cargo hold is re-designed into a hopper with bottom doors. 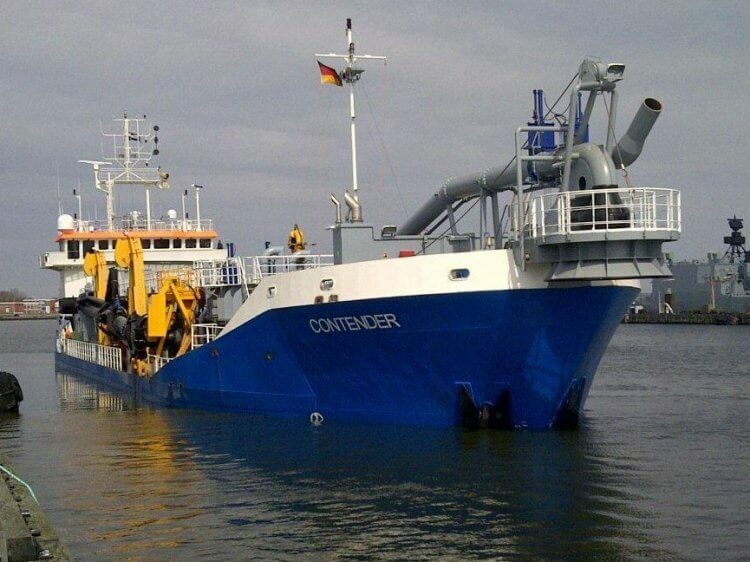 Discharging of the hopper can also occur by means of a rain bowing system, a floating pipeline or by an excavator. 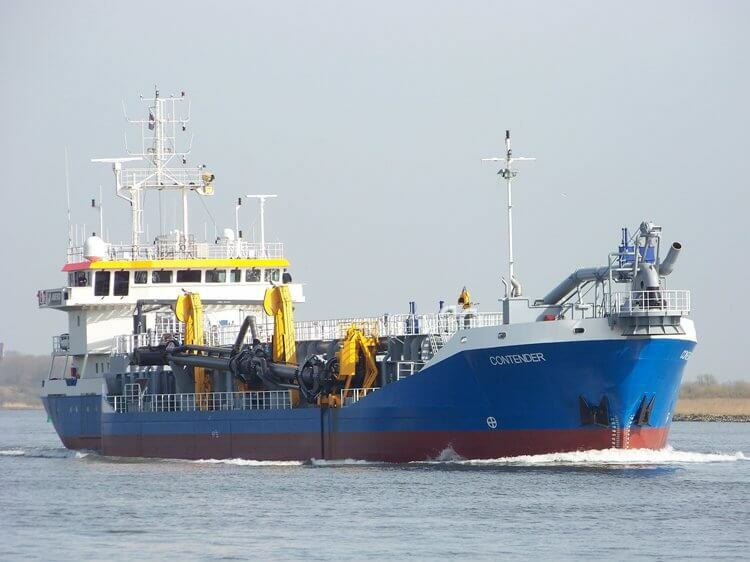 The maneuverability of the vessel has been enhanced with four thrusters which make the vessel capable for operation in a narrow areas.